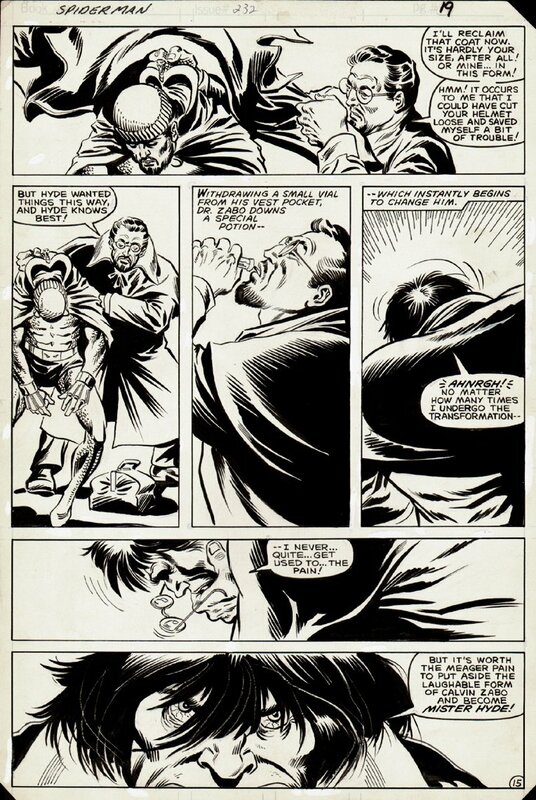 Check out this very nice 1982 AMAZING SPIDER-MAN page, which was penciled by the great John Romita Jr, and inked by Jim Mooney! This nice page features the evil Dr. Calvin Zabo drinking his potion to become Mr. Hyde, as he holds The Cobra in his hands! Just a nice hard to find FIRST RUN John Romita Jr ASM page!